We live in a world of monopolies. No matter what you do, there is a chance that a big business already does it which means that it is becoming increasingly difficult for a normal citizen to get a piece of the pie. However, big businesses are often seen negatively, especially in terms of customer service. Here is how you can get a leg up by doing nothing other than improving your customer service. Corporations are notorious for treating their customers like cash cows that they can milk whenever they like. You can show that you are different by proving that you are not faceless. 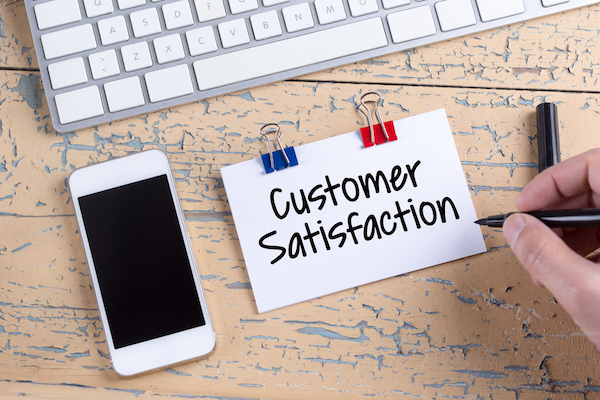 Encourage your CSRs to provide the most personalized service they can and you will be surprised at just how much your customers will start appreciating you after such a small thing starts being done by your company. More personalized service is simply better because of the fact that it helps customers trust you more as they would have a face to assign their trust to. #2 Address Customer Complaints More Quickly. Corporations earn so much money that they don’t care all that much about how quickly customer complaints are being addressed. The fact of the matter is that their profit margin does not depend on this sort of thing, but yours does so you definitely have a lot more incentive to give customers quick service pretty much all of the time. This will show them that you are a much better option to look into, because if nothing else you are going to be able to give them the sort of support they need when they need it. If you want to start supporting as many customers as possible, you need to get a live chat software such as the one offered by Kayako. This will help you to not just give your customers quality, but enormous amounts of quality as well. What this means is that you are going to be able to handle a lot more customers than would have been the case otherwise, and nothing makes customers happier than reduced waiting times that will allow them to get their problems addressed in the shortest period of time possible. One huge mistake that a lot of corporations make is that they don’t take the complaints their customers make all that seriously. Rather, they assume that the customers in question don’t really know what they are doing, they assume that they can bury the complaint by just ignoring it and hoping that it will go away. If you take customer complaints seriously, which means actually caring about what they say and rectifying the situation so that the complaint does not happen again, your customers will know without a doubt that you are different and that you genuinely care about what they have to say. Sometimes when a customer has had a bad experience it is very important that you do more than just fix what is wrong with the product or service they have received as well. You need to figure out how you are going to make it up to the customer as well. Whether it is with a freebie or a discount code, most of the time you are going to find that this level of compensation is going to help you retain some of your customers and give them an idea of the sort of service they can expect to receive if they decide to shift to you rather than sticking with the big business. In order to make each customer feel important, you are going to have to figure out a way to keep records. This can allow you to remember the names of your customers and make them feel like they are part of one big whole rather than nameless and faceless people that would not get any respect from the business they are giving money to. Keeping records is essential if you want to set yourself apart in this dog eat dog world!